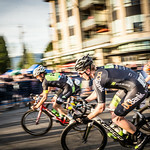 The early bird deadline for the 2016 edition of the BC Superweek cycling series is fast approaching with any teams and riders encouraged to register prior to this Friday, June 10, 2016 at 11:59 pm PST. 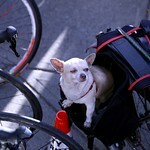 Teams and riders who register before the early bird deadline will receive a reduced registration fee. 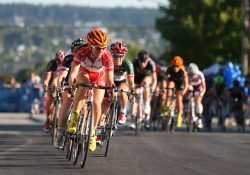 In addition, teams may register a team of six riders for all eight BC Superweek events for only $1800 or a team of eight riders for $2000. 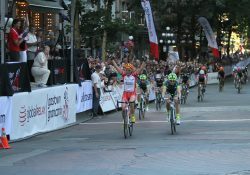 After reviving the Gastown Grand Prix with a five-year, million-dollar commitment in 2012 and transforming it into the richest criterium in North America – and the only one in Canada with official international UCI (Union Cycliste Internationale) status – Global Relay is pleased to announce that it is renewing its title sponsorship of the race for an additional five years from 2017 to 2021. 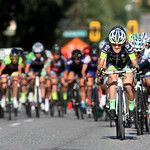 In recognition of its high-calibre racing, its ability to attract strong international fields, and its stature on the Canadian racing calendar, the Global Relay Gastown Grand Prix has been granted official UCI status by the Union Cycliste Internationale (UCI), the world governing body for the sport of cycling recognized by the International Olympic Committee. 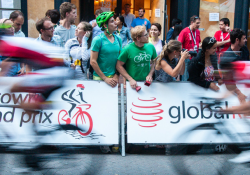 The Global Relay Gastown Grand Prix is the second BC Superweek race and the only criterium in Canada to receive this prestigious international designation. 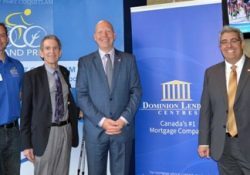 Dominion Lending Centres has officially signed on as the presenting sponsor for the PoCo Grand Prix, giving a major boost to the premier cycling event taking place in downtown Port Coquitlam on Friday, July 15. 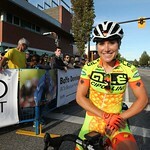 The announcement was made at a sponsor kick-off evening for the BC Superweek event hosted Tuesday night by Samz Pub. 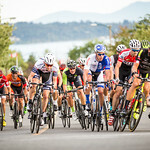 As part of Canada’s largest professional road cycling series, the PoCo Grand Prix is expected to attract thousands of spectators and cycling enthusiasts to downtown Port Coquitlam for a day of sport, live entertainment, family activities and more. 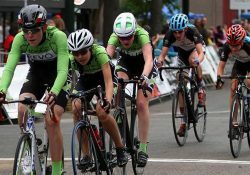 Vancouver, BC (April 14, 2016) - BC road cycling fans will get an exciting look at Canada’s next generation of cycling stars when boys and girls aged 12-16 go head-to-head at the opening race of each BC Superweek criterium this year. 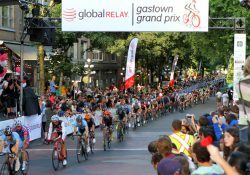 The BC Superweek Youth Series is a partnership between BC Superweek and Global Relay’s Bridge the Gap Fund, which coordinates the series. 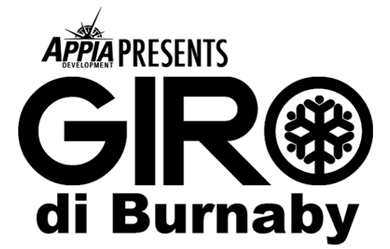 In addition to racing at the Tour de Delta Brenco Criterium, Global Relay Gastown Grand Prix, Giro di Burnaby p/b Appia Development and the Choices Markets Criterium at Steve Nash Fitness World presents Tour de White Rock, boys (12-15) and girls (12-16) will also contest a special Escape Velocity Tuesday Night Criterium, along with BC Superweek’s newest event, the PoCo Grand Prix p/b Dominion Lending Centres. 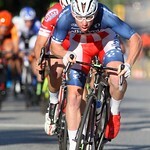 Is your business up for the challenge? 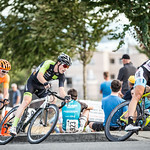 Companies can now register their teams for the PoCo Grand Prix Corporate Challenge, part of the BC Superweek cycling event taking place in downtown Port Coquitlam on Friday, July 15. 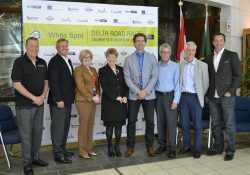 Participating corporate teams of four will compete in recreational or competitive races along the same 1.3-kilometre course as the pros. 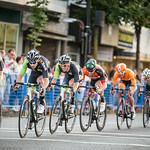 As part of Canada’s largest professional road cycling series, the PoCo Grand Prix is expected to attract thousands of spectators and cycling enthusiasts to downtown Port Coquitlam for a day of sport, live entertainment, family activities and more.